Puerto Rico’s history of intervention and mismanagement created a financially disastrous backdrop for Hurricane Maria. Puerto Rico Capitol Building in downtown San Juan. On September 20, Hurricane Maria swept across Puerto Rico, destroying its electricity grid. The storm felled half of the cross-island transmission towers. Nine out of 10 back-alley power poles blew down. Every single customer on the island lost power. Amid the wreckage lies an opportunity for Puerto Rico to rebuild stronger and smarter. Tesla chief Elon Musk said his company will power the island with solar and energy storage. “The Tesla team has done this for many smaller islands around the world, but there is no scalability limit, so it can be done for Puerto Rico too," he tweeted. But there’s one big hitch with this plan. Unlike other island grids, Puerto Rico’s has been under assault for years. A decade-long recession and utility mismanagement of an aging grid exacerbate problems rooted in Puerto Rico’s commonwealth status. The unfortunate combination of colonialism and local miscues make rebuilding infrastructure a taller task than for other island nations or the U.S. mainland. The island’s governor has already canceled a $300 million contract for repairing the grid after it went to a tiny Montana-based firm that somehow secured a deal prohibiting government audits of its costs and profits. In the aftermath of Maria, the island needs a new vision to serve its local needs, driven by two principles: transitioning to lower-cost and resilient renewables, and retaining local ownership and control. Technology like Tesla’s can provide one piece of that vision -- state-of-the-art solar and batteries that can provide cleaner, more resilient and more affordable electricity. But revitalizing the island’s grid, and economy, requires a broader vision for ownership and management that allows Puerto Ricans to share in the economic rewards of local power generation. To understand the challenge of transitioning to a cleaner grid, it’s important to understand Puerto Rico’s status as a U.S. commonwealth and how that has affected the island's energy system. The island’s residents are U.S. citizens who pay federal taxes. It has its own constitution, but the U.S. federal government can and does intervene in local affairs (more on that in a bit). Unfortunately, that history of intervention created a financially disastrous backdrop for Hurricane Maria. In an effort to aid the island’s development, the federal government in the 1950s launched Operation Bootstrap, creating tax incentives for manufacturers to locate on Puerto Rico. The move helped grow the economy and create factory jobs, but also allowed U.S. corporations to avoid paying corporate income tax (think offshoring but within the country). In addition to putting domestic industry at a disadvantage to offshore ones, the law became increasingly expensive for federal taxpayers. Congress repealed the tax break in the 1990s. 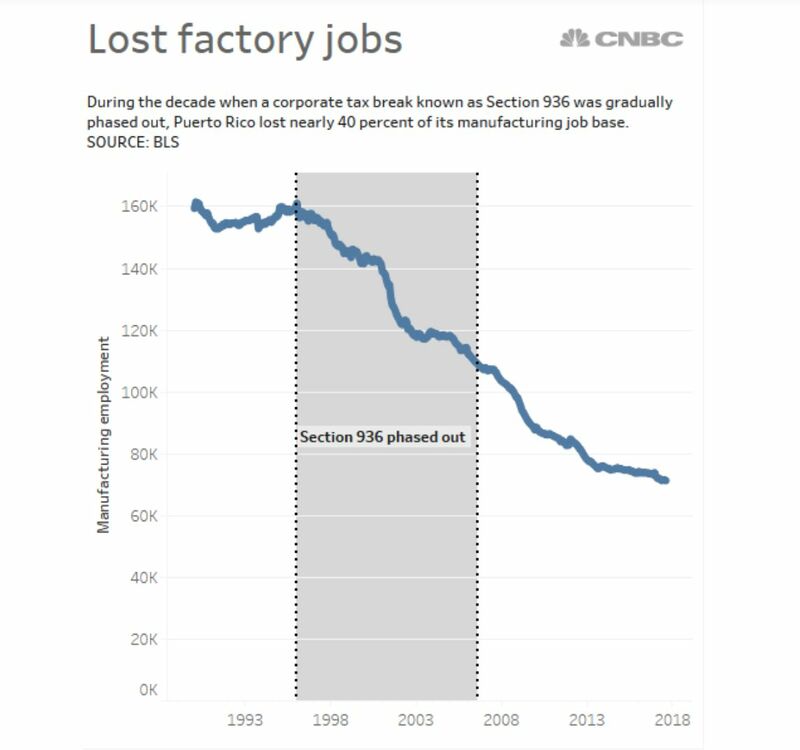 When that change finally took effect in the mid-2000s, it had a dramatic negative impact on manufacturing employment and the entire island’s economy. Still reeling from the tax credit repeal, the island also struggled to access federal funds due to its second-tier status. Today, the unemployment rate in Puerto Rico is 2.5 times higher than the U.S. average, and the poverty rate is a startling 45 percent (double that of the lowest-ranking U.S. state). The island has lost 10 percent of its population over the past decade, largely via migration to the mainland in search of economic opportunity, and the government went deeply into debt in a bid to keep the economy afloat. The debt requires special mention, because special treatment for Puerto Rico’s borrowing (bonus tax exemptions) gives investors an incentive to overlook the island’s trouble in repaying its $72 billion obligation, allowing them to borrow 30 times more than the average state. The governor has suggested islanders can only afford to repay about 20 percent of the existing debt because payments would consume all economic growth through 2047. 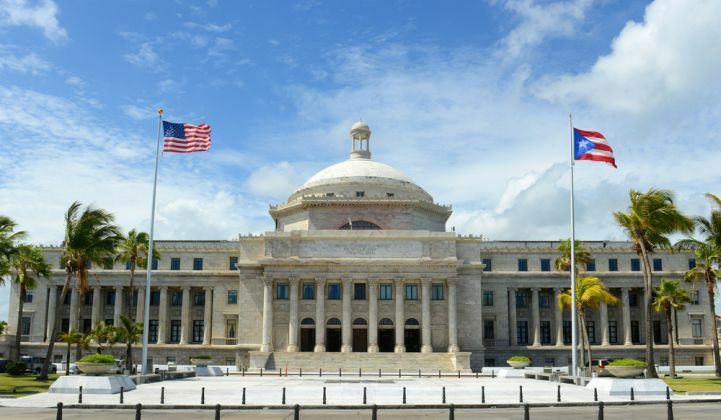 The federal response to the debt crisis in 2016 further stymies Puerto Rico’s recovery efforts. President Obama created a federal oversight board that reports solely to the U.S. president, a chain of command that drew criticism from Hector Figueroa of the Service Employees International Union, who said it rendered Puerto Rico “a semi-colonial entity.” The board implemented austerity measures usually reserved for developing countries, including “unpopular decisions [such as] cutting spending on public health by 30 percent, closing schools, and lowering the minimum wage for young people to a little over $4 an hour," Slate reports. Unexpectedly, the oversight board rejected a debt restructuring offer from the island utility’s major creditors last year. The deal would have paid them 85 cents on the dollar for bonds that many of the holders had purchased at lower prices, and provided no path to re-enter capital markets to borrow -- a crushing obstacle for a utility in desperate need of capital to rebuild its grid. Hedge fund managers had hoped the oversight board would provide an easier route to a favorable payout than negotiating with Puerto Rico’s government. The debt burden still hangs over the island in the wake of the hurricane strike. The New York Times reported, “Even as Maria hit Puerto Rico, hedge fund creditors were filing motions in court to further their claims to be repaid.” Additionally, knowing the island would be desperate to unlock matching federal disaster relief funds, creditors offered a new, less generous deal shortly after Maria struck in an effort to get themselves to the front of the repayment line. So with an economy and government finances in shambles, Puerto Rico awaited a hit from a Category 5 storm. And its publicly owned utility, PREPA, was also poorly prepared. In its report to the Puerto Rico Energy Commission last year, the consulting firm Synapse summed up its extensive review of the island’s utility with a scathing comment. “PREPA is failing at the basic mandate of an electric utility,” which is to offer safe and reliable electricity, the group stated. Puerto Ricans have experienced four to five times the number of service outages as U.S. customers over the past two years, yet still pay the second-highest utility rates in the country. The utility has $4 billion in accumulated maintenance needs. One of the utility’s major shortcomings, much like the island’s economic crisis, traces back to its colonial past. The last federally appointed governor (under President Franklin Roosevelt) offered free electricity to win over municipalities that would lose property tax revenue when private utilities were taken public in the 1940s. That practice has continued, and the complimentary power for the island’s cities -- and their publicly owned skating rinks, stadiums, etc. -- cost the utility $420 million in 2016 alone. That's $123 for every resident. Many other governmental entities, such as schools, hospitals, the largest airport, and transit systems are delinquent on power payments, together totaling $300 million. The utility’s poor decisions of the past are compounded by others made outside the utility. Puerto Rico’s legislature and governors have pressured PREPA to keep electricity rates low. But this mandate “stands in stark contrast to other utilities where revenue requirements are driven by needs,” reported Synapse in its critique of the utility’s resource plan before the island’s Energy Commission. Regulations imposed by the Environmental Protection Agency -- specifically, its Mercury and Air Toxics Standards -- represent a third external force complicating the utility’s operation. The utility burns fuel oil to generate about 50 percent of the island’s electricity, in aging power plants that fail to comply with clean air standards. 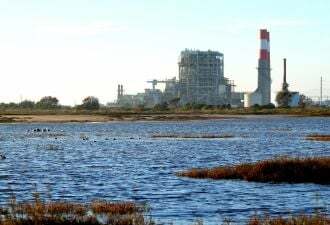 Rather than install scrubbers and repair its fuel oil generators, however, the utility instead bet on switching its fuel oil power plants to natural gas, relying on construction of a new gas import terminal. The import terminal has been delayed, worsening maintenance problems at some of the utility’s biggest power plants. PREPA's active mismanagement has intensified the problems generated by poor historical decisions and clean air regulations. In 2014, PREPA undercut numerous renewable energy projects. The utility unilaterally added unwarranted technical requirements to existing contracts including then-expensive batteries, inhibiting projects from getting financing. Most wind and solar projects died on the vine. In 2015, a class-action lawsuit (still pending) accused the utility’s fuel purchasing office of procuring substandard fuel oil and fraudulently billing customers for the more expensive low-sulfur variety required by the Environmental Protection Agency. The total capacity of PREPA’s power plants exceeds the grid’s needs by a 50 percent margin, an expensive cushion. In addition, much of this capacity has far exceeded its expected lifecycle. The median age among its power plants is 44 years, 2.5 times older than the U.S. electric industry average. These aging power plants fail at a significantly higher rate than newer power plants. Beyond the fallout tied to aging infrastructure and financial blunders, poor management has led to an exodus of skilled workers. Thirty percent of PREPA’s employees have retired or migrated to the mainland since 2012, The Washington Post reports -- including many of its skilled workers. Against this backdrop came Hurricane Maria, driving straight over the island as a maximum-intensity Category 5 storm. PREPA representatives have suggested it will take six months to fully restore power. Several factors complicate PREPA’s restoration. The utility hadn’t fully recovered from Hurricane Irma’s recent strike -- 60,000 customers were still without power when Maria hit. The complete loss of power also makes recovery more difficult, a situation utility folks call a “black start.” The mountainous terrain in central Puerto Rico makes transmission and distribution line repair expensive and time-consuming. Additionally, due to its isolation, the utility can’t easily take advantage of mutual aid pacts with other publicly owned utilities that normally provide extra labor power and equipment to help restore power. In an odd twist, three weeks after the hurricane, the utility refused mutual aid. Governor Ricardo Rosselló has since sought mutual aid agreements with New York and Florida. In the short term, the utility’s focus must be humanitarian aid -- restoring electricity to as many Puerto Ricans as possible, especially for crucial services such as water pumping, sewage treatment, hospital care and refrigeration. The good news is that some of these tasks don’t depend on restoring the island’s power grid. Already, solar and battery companies such as Tesla are donating equipment for local power generation. These contributions expand the network of powered facilities and can create a foundation for a more resilient grid that can weather future storms. It is essential to prepare for a more resilient future as PREPA rebuilds the grid. And there’s little question the utility could do better. “It took four months to restore power to the entire island after Hurricane Hugo in 1989 and six months after Hurricane Georges in 1998,” reported Public Affairs Secretary Ramon Rosario just after Hurricane Maria struck the island. To build stronger this time, PREPA can prioritize storm-hardened infrastructure, as mainland utility Florida Power & Light has done over the past decade, including by swapping wood poles for concrete, elevating substations to avoid flooding, and changing insulators on power lines from ceramic to harder polymers. To build smarter, PREPA can add smart grid technologies to contain outages, reduce recovery times, lower costs, and enable distributed renewable energy similar to actions taken by the Chattanooga municipal utility or planned by the Hawaiian Electric Utilities. This includes advanced sensors, digital switches, automated meters, and intelligent interrupters that contain outages, as well as making power plants more capable of ramping production up and down to complement wind and solar generation. Procuring low-cost, resilient renewables would go a long way toward reducing reliance on imported fuel, which costs Puerto Ricans more than $2 billion per year. Federal disaster managers, in particular, should allow the island’s utility to plan ahead, not just prop up a failing grid. Puerto Rico needs a new vision to serve its local needs, underpinned by a transition to lower-cost, locally owned renewables. Despite the clear benefits of expanding renewable energy, PREPA is moving in the opposite direction. PREPA’s fiscal plan suggests it will increase renewables to just 18 percent of generation by 2026, while spending billions to repower fossil fuel power plants and increase reliance on imported natural gas via a $500 million import terminal. In contrast, distributed solar and energy storage packages sold in Hawaii cost less than utility-provided electricity, and provide local pockets of power when the grid fails. Utility-scale combinations sell for as little as one-third of that cost. Both are cheaper than power from PREPA’s ailing oil and gas power plants. PREPA should instead vigorously accelerate renewable energy expansion, retire ancient oil power plants and repower or replace fossil fuel power plants only to the extent necessary to back up cost-effective renewable energy. Kauai Island Utility Cooperative serves as a model. In 2011, the Hawaiian utility was 85 percent oil-powered, with most of the remainder provided by long-established hydro generation. Just five years later, renewables provided 42 percent of the island’s electricity, with an expectation to reach 80 percent by 2025. The switch has helped the utility lower electric bills and avoid significant price inflation experienced by utilities on other Hawaiian islands. PREPA’s unique challenges even more strongly reinforce the benefits of a renewable-first course. Fuel costs are expected to rise 64 percent in the next decade, even as sales are projected to fall by nearly a quarter because of continued weakness in the island economy. This combination translates to rate increases of nearly 50 percent. The utility’s plan to remain hitched to fossil fuel power plants -- which are expensive to maintain, costly to retrofit, and require overpriced fuel -- despite affordable alternatives is almost criminal. PREPA looks particularly shortsighted after the hurricane, given its unprecedented opportunity to rebuild the network in a way that encourages and integrates next-generation renewable power resources and storage. Distributing renewable energy resources across the island would provide three types of resiliency. Batteries help maintain power for crucial infrastructure (hospitals, community centers, cellular towers, water-pumping) during storms. Renewable energy provides power generation immediately after storms to refuel batteries and provide power at key locations. And, with no need for imported fuel, renewables avoid the supply-chain disaster of diesel generators whose fuel must be unloaded at ports and shipped on roads ravaged by storms. In the aftermath of Hurricane Sandy, for example, solar energy enabled Midtown Community School in Bayonne, New Jersey to idle its diesel generators and extend fuel supplies. In contrast, restarting coal, gas and nuclear power plants on the Gulf Coast after Hurricane Katrina hinged on the restoration of water-pumping infrastructure required for the steam thermal generators. Puerto Rico’s government has already recognized the potential of a renewable energy and energy efficiency switch. The 2014 legislation that created the Energy Commission also directed the utility to pave the way for more distributed renewable energy as well as reduced government energy use. The danger in the utility’s -- and entire island’s -- precarious fiscal situation is that they will lose local oversight just as they have successfully begun to address their problems. Though the island established its independent Energy Commission to oversee PREPA just three years ago, the body has already pulled back the curtain on PREPA’s problems. This local oversight should remain. The federal government should help Puerto Rico climb out from under its crippling debt. General Motors received a $50 billion bailout package to stave off bankruptcy, with the federal government writing off $11 billion. Puerto Rico’s federal taxpayers deserve at least as much support as U.S. automakers. At a minimum, its bondholders should get no more back in a bankruptcy proceeding than they put in, as many of its creditors hold bonds purchased at a significant discount. The federal aid may go beyond money, such as suspending the Stafford Act’s provisions limiting disaster recovery money to rebuilding exactly what was destroyed, which would be a poor choice with a grid built for a 20th-century electricity system and poorly prepared for hurricanes. Additionally, island officials and the federal government should resist calls for utility privatization, which would only extract more local money from the economy. If the utility must be sold (as a whole, or in a fire sale of assets), then the first option ought to be cooperative ownership, such as the model that has guided Kauai since the departure of its investor-owned utility nearly 20 years ago. In Kauai, not only has local governance successfully addressed the crisis of high oil prices, it has managed to reduce costs for customers and return patronage capital (the rewards of ownership) to members. Crucially, unlike with a private owner, cooperative ownership would include as part of its mission supporting economic development on the island, as hundreds of rural electric cooperatives do across the mainland United States. While Puerto Rico’s power challenge, stemming from its colonial history and compounded by utility mismanagement, has persisted for generations, the recovery from Hurricane Maria offers a unique opportunity to confront and solve the pitfalls of the past. The island's very aged fossil fuel power system should be retired. The provision of free electricity should end. The utility should set prices to recover the actual costs of maintaining a safe and reliable grid. In rebuilding infrastructure, the utility should harden its grid against future disasters and nurture a more resilient and renewable energy system. In planning for the future, local oversight should ensure that the utility’s plans align with improving the island’s economic prospects and reducing its $2 billion per year fossil fuel dependency tax. For many years, Puerto Rico has paid the price of remote meddling in its power system and economy. Building local power is a prerequisite for recovery. John Farrell directs the Energy Democracy Initiative at the Institute for Local Self-Reliance.